Two books from April 16, 2014. Plus your Nerd Confessions (about the best start to a series) and Aaron's Inner Child. 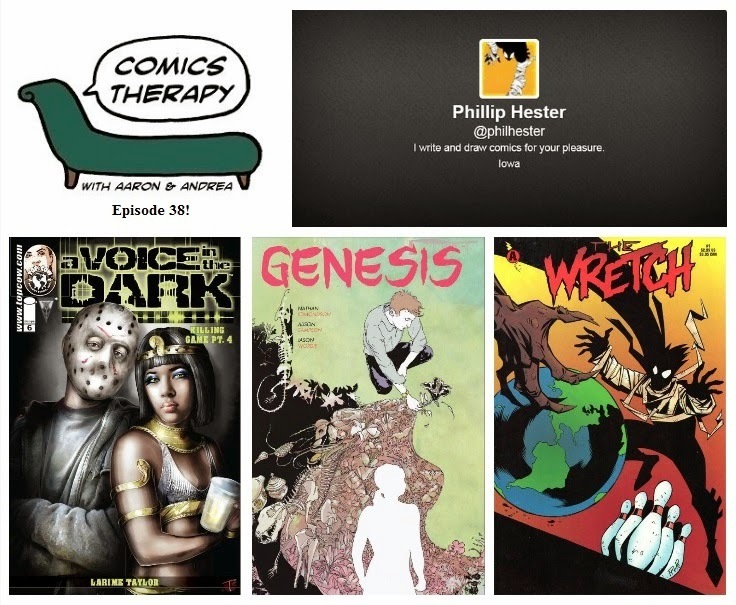 On The Couch: artist and writer Phil Hester. The theme this week is creation and destruction. Limitless power invokes the age old question of responsibility. And playing God can have nasty side effects for both deity and disciple alike. A dreamlike journey before imminent death or a twisted reality as death itself is avoided? Creation and destruction in one gorgeous package. One of the most unique female characters in comics today is also a serial killer, but we're not judging, just fascinated. Her acceptance of her own darkness is what gives her strength. Phil has worked for many publishers over the course of his long career but is particularly recognized for his runs on Swamp Thing with Mark Millar and Green Arrow with Kevin Smith and Brad Metzner. His creator-owned book The Wretch was nominated for an Eisner award for best new series. He is also known for taking over writing duties on DC’s pre-New 52 Wonder Woman. He is currently writing Thunder Agents for IDW and Invincible Universe for Image Comics.